As far as I can tell, kimlé gets its first mention in the Inner Sea Gods book. It is described in the section on the clothing of Gozreh‘s worshipers: “… at least one garment is usually made of kimlé, a linen-like cloth made of a sea plant the church cultivates.” Sean K Reynolds et al (2014). Inner Sea Gods, p 73. 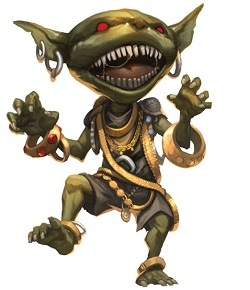 Paizo, Inc.
There’s so much in that one sentence, and my game doesn’t start for hours, so here goes. Gozreh (in a nutshell) [digression: great, now I’m imagining that like the picture of Venus on the half shell]: a god of nature, sea, and weather and is depicted as either male or female, depending on the context. “at least one garment” & “the church cultivates”: This implies that kimlé may not be readily available, and is specifically cultivated for liturgical garb. “linen-like cloth”: This presumably means it is a bast fibre, like linen and ramie. [digression: also stinging nettles which explains The Wild Swans by Hans Christian Anderson. I never understood the mechanics of making nettles into fabric.] Bast fibres are the inner bark of plants, softened (mechanically or chemically) and spun into yarn to be woven (or knit) into fabric. Bast fibres share several properties which distinguish them from cotton. Bast fibres are stronger and don’t pill. They also feel cool to the touch and absorb moisture without feeling wet (very useful if you’re worshiping a sea goddess). However, they can be coarse (depending on the internal shape of the plant) but get softer with use. “sea plant”: The natural colour of of linen is light brown, or um…. “linen”. 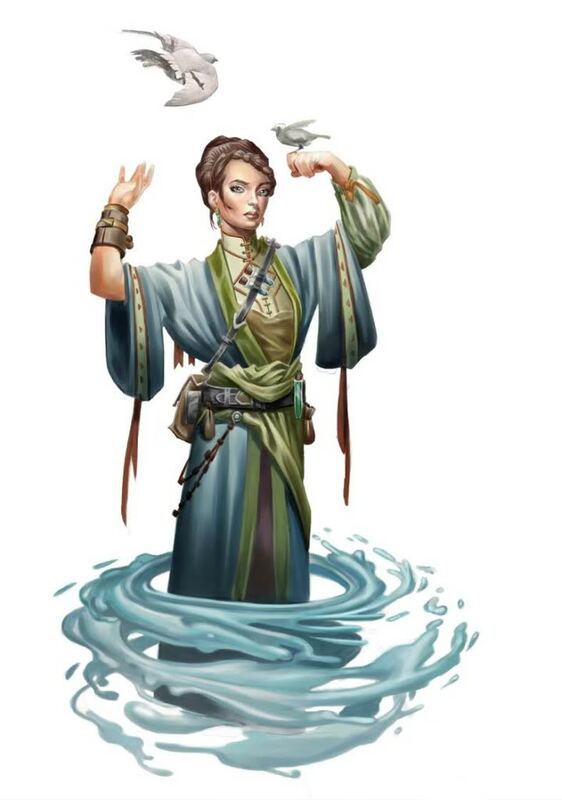 I’d like to imagine that the green in the cleric’s robes shown is the natural, unbleached state of kimlé. One thing not mentioned in the sentence is name of the plant that produces kimlé. English has a long tradition of using different words for the finished product and source material, eg: cattle vs beef, sheep vs mutton, flax vs linen. (The Norman Invasion is responsible for most of that, but this is the Fashions of Golarion, not the Languages of Golarion.) So does kimlé come from the kimlé plant, or some other plant? There is (at least) one magic item made of kimlé and another that should be (and is, as of now, in my game version of Golarion). The Kimlé Coat (Inner Sea Gods, pg 252) helps with swimming and water breathing. The Featherscale Cloak (Inner Sea Gods, pg 264) does all kinds of neat bird- and fish-related things (including shape shifting), but is described as “heavy linen”.